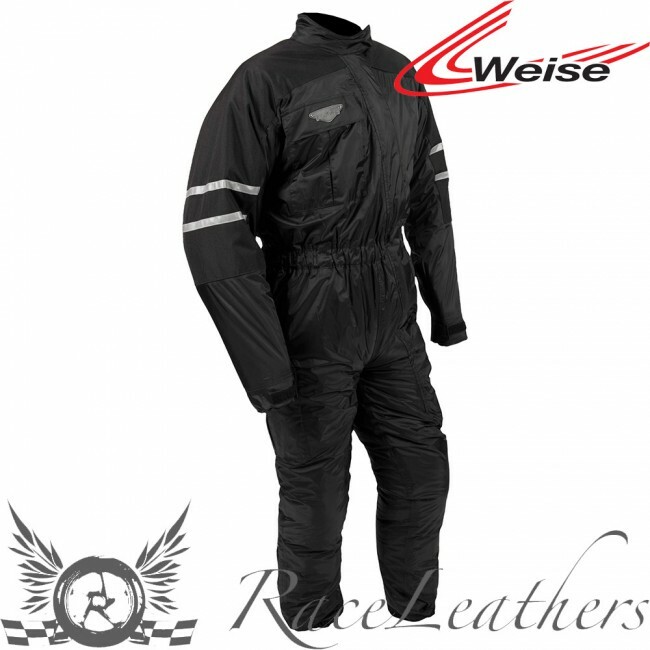 Strong waterproof nylon construction with taped and welded seams. Full thermal quilted lining throughout suit. Corduroy lining to collar for added rider comfort. Long main zipper from thigh to neck with Velcro® retained storm flap and internal gusset. Elasticated waist to reduce suit billowing at speed. Adjustable Velcro® retained strap to cuff. Zipper to outside of leg for ease of entry with adjustable Velcro® retained strap.